Even on a tight budget, you CAN thrive! You sat at the kitchen table with the bills and statements spread out deciding which ones to pay first. You checked your bank account online and unsuccessfully attempted to balance the bills against that amount. It just would not work, so in frustration you shut the computer and buried your head in your hands. Could you cut spending somewhere else or perhaps somehow add more income to your family’s budget? “But where do I begin?,” you thought desperately. You and your spouse are weighed down discussing the budget, reviewing the calendar, and going over the monthly plan and weekly commitments. Clipping coupons helps but is just not cutting it. You continue to examine what you can remove from your budget or what line items you can adjust. It’s all so overwhelming. You don’t necessarily want to go back to work outside the home. You worked outside the home before, but you really want to stay at home with your kids. “How can I make this work?,” you fearfully ask yourself. Investing your life in your family brings you joy, and doing it on a single income doesn’t need to stress you out! 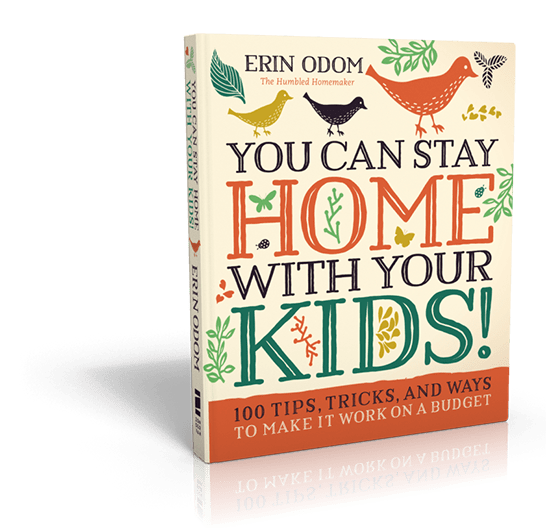 Join Erin Odom as she shows you how you can live frugally—and thrive—while you raise your kids at home in You Can Stay Home with Your Kids! From the moment you discovered you were going to be a mom, you envisioned spending each day with your kids, guiding, teaching, and loving them. But diapers, wipes, shoes, and braces are expensive! 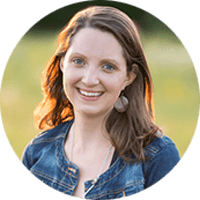 Though it may feel impossible to manage on one income, Erin Odom, The Humbled Homemaker, is here to show you, through God’s grace, staying at home with your kids is doable. And it’s not just doable, you can thrive while you stay at home with your kids! 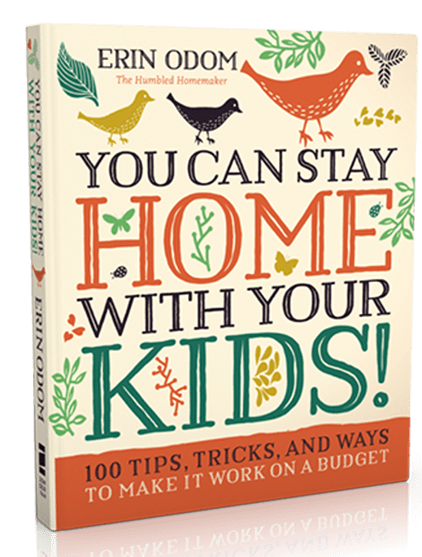 Erin shares 100 tips, tricks, and simple ways that she has provided on a budget for her family—and you can do the same! Experience the freedom, flexibility, and joy that come with being a hands-on mom and spending every day guiding, enjoying, and nurturing your kids, while still providing a satisfying lifestyle. “You Can Stay Home With Your Kids is an empowering read! As one who has made major life changes (and sacrifices) in order to stay home with my children, I affirm and resonate with the wisdom and inspiration offered in this book. CLICK ON YOUR FAVORITE RETAILER BELOW TO ORDER NOW! 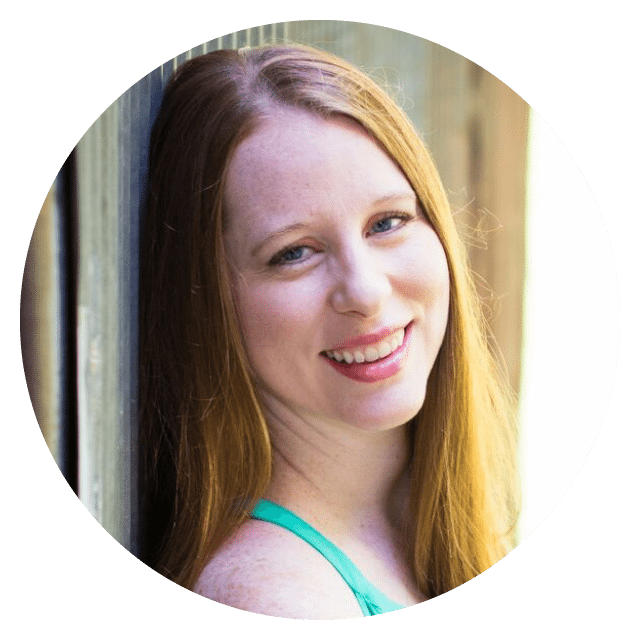 Erin Odom is the founder of The Humbled Homemaker®, a blog dedicated to grace-filled living designed to equip and encourage mothers in the trenches. Her Southern charm and wealth of inspirational, practical content has drawn an audience of millions over the years. Erin and her husband, Will, live in the South where they raise their four children. For press inquiries regarding You Can Stay Home With Your Kids, please contact Angela Guzman at angela.guzman@harpercollins.com.